The KS-3 is a “medium cut” kart boot manufactured in suede leather with mesh insert panels on the boot sides for ventilation. The KS-2 boot utilises a slip resistant sole and moulded heel pivot. This is particularly effective for karting conditions where pedals or kart floor may be wet, while being perfectly comfortable to walk around in track side. 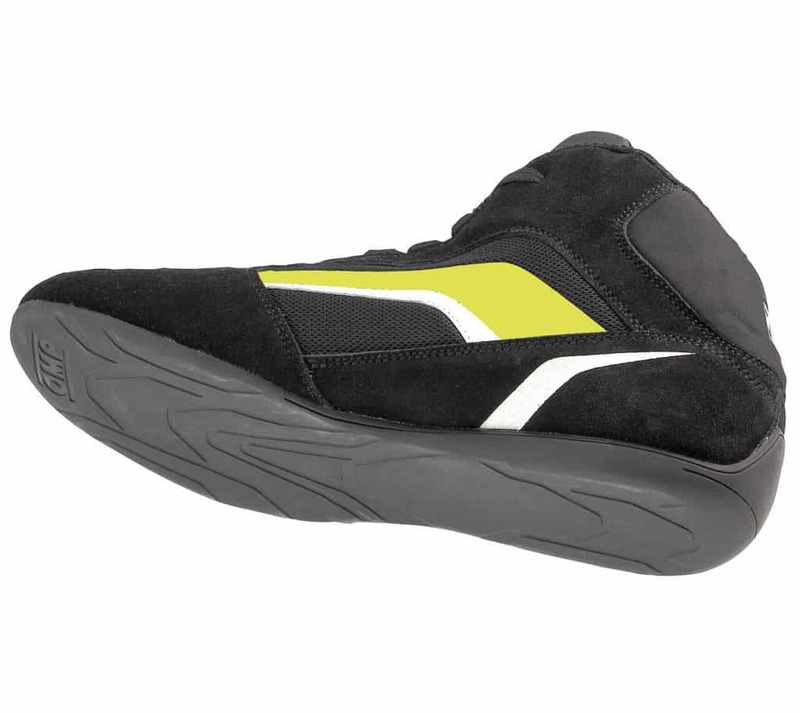 The boots are designed with flexible inserts at the rear of the boot to increase driver comfort. A separate ankle adjustment strap gives greater support. Ventilation comes from mesh inserts on the sides of the boots. 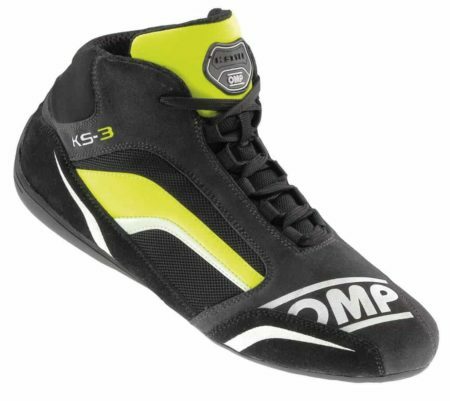 This is a fantastic entry level karting boot with an innovative design and colour on offer. Available from UK size 3.5 to 12.